With the dominating Apple tablets on the market, other tablet manufactures were having headache with their Android devices. The Apple iPad have been dominating the whole market ever since it has been introduced. Even the later models of iPad also show at the same rate of sales which won’t be wrong if we say they are also growing. Although the Android devices are also growing their sales figure and some of the researchers also predicted that they have a good future in the tablet market. A recent reveal from IDC has also predicted that the Android devices may make it up to big figures from 2015. 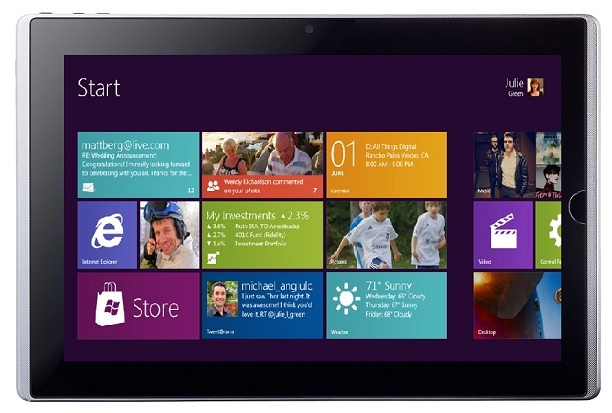 Apart from both these platforms, Microsoft’s Windows 8 platform is also on its way to the market. According to a recent report from Digitimes a Taiwan based ODM, so far Microsoft and Intel are said to be working closely with first vendor’s currently developing Windows 8 tablet. They are also hoping that they might be able make a good impression in the market after they are released. Their source also claims that the likes of HP, Dell, Lenovo, Acer, Asustek Computer and Toshiba are gearing up for as many as 32 Windows 8 tablets PCs for launch this year. It has also been reported that one of the tablet from Lenovo will be sub-$300. If others manufactures also have one in this range they will be enough for taking on the Android devices. There will also be models above $300 price which can be expected to put a challenge on the iPads. Although only Lenovo’s contribution is seemed to be clear now according to the unnamed source. 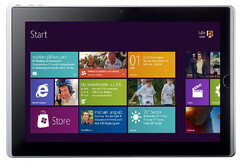 He also said that Intel sees Lenovo playing a key role in Windows 8’s tablet market share. Now if these happen to be true facts then the Windows Platform might be able to take on the market providing a good challenge to both Android and iOS devices.